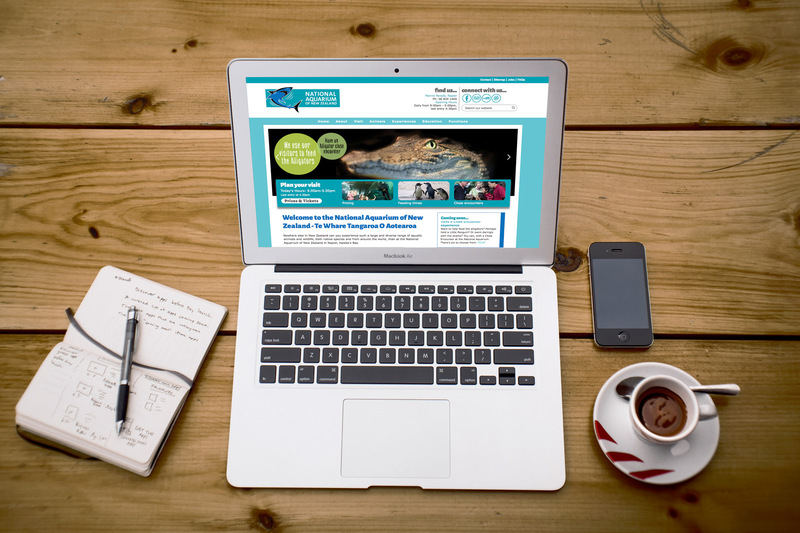 In late 2014, Ed wrote copy for the redevelopment of the National Aquarium of New Zealand’s website. Owned and operated by the Napier City Council and the people of Napier, carrying out the rewrite involved working closely with the council’s marketing and IT department, the aquarium’s staff, and web designers 3webfeet. The first phase involved reviewing the existing site’s content and various offline collateral such as print material, press ads and media releases. From there staff were interviewed in order to extract the nitty-gritty about what goes on behind the scenes at New Zealand’s national aquarium. Following all this content hunting and gathering Ed proceeded to filter down the copy, organise it, weave it all into the sitemap structure, before casting some SEO/wordsmithery magic throughout. The final result was over 20,000 words of easy-to-read, page-turning, optimised copy for the site. Following several review rounds from the client and amends by Ed, the new copy was loaded into the CMS before going live just before Christmas. The new site has been deemed a resounding success by all parties involved, including Ed. But I would say that wouldn’t I. So why not take a look and decide for yourself … just click the image back up the top there to read all about it.